I don't know about you but Fall is absolutely my favorite season. The colors, the smells and let's not forget the fashion! With the pastels of spring and bright bold colors of summer being replaced by warmer neutral tones, it's time to bring out the knee high boots (which I so adore) and find new accessories to compliment your fall wardrobe! 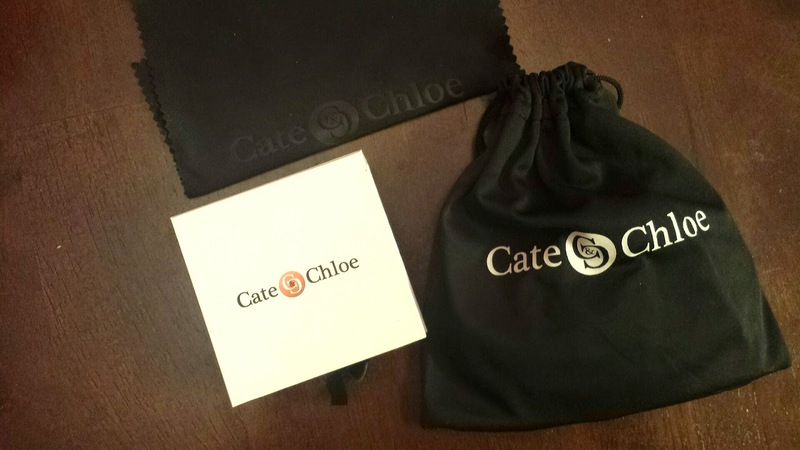 And what better way to find these new treasures than Cate & Chloe VIP! 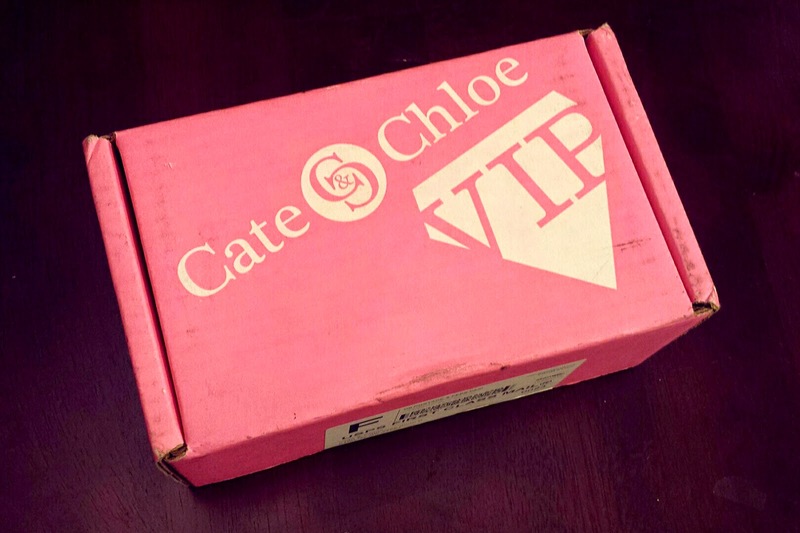 If you don't already know, Cate & Chloe VIP*, who kindly sent me this box for review, is a monthly subscription service catering to jewelry lovers. The cost is $39.99 per month and you will receive 2 different pieces in every box. Some folks may consider the price a bit high, but I assure you that the beauty and impeccable quality of the jewelry is well worth the cost! Each box contains an information card to give you the rundown on your items. 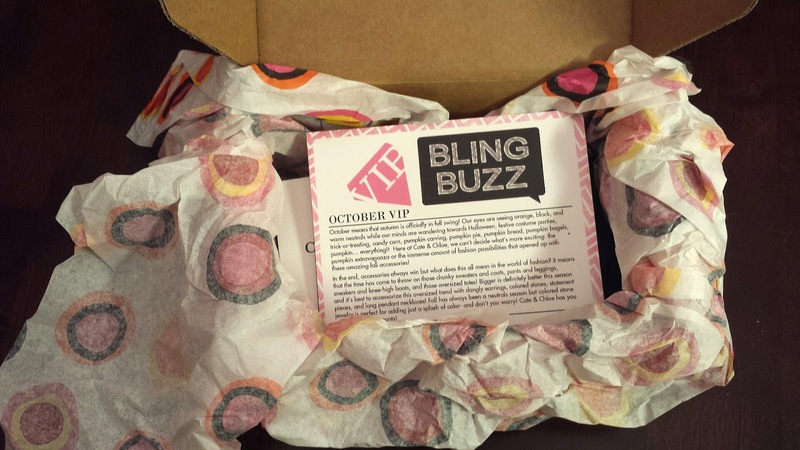 Also included on a separate card is a jewelry tip of the month and information on what this month's extra perk is. I'm already over the moon with the packaging. I love when everything is wrapped individually. It keeps the mystery up a bit longer, like opening a super fabulous present! 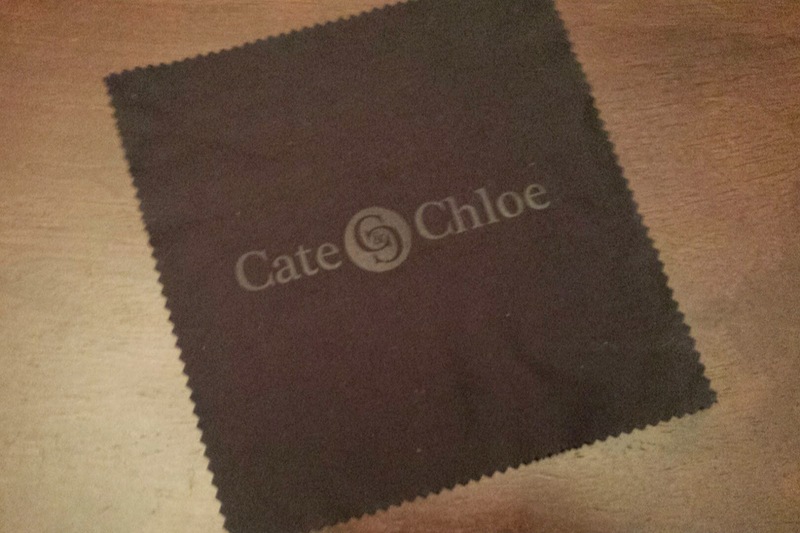 Cate & Chloe Wipe Cloth --- This was that special perk I mentioned earlier. It's mist definitely a useful and appreciated item. I can't stand fingerprints on the surface of my jewelry..
Lorraine 'Royal' Necklace - $99 retail price --- This may well be my favorite necklace ever! I have always preferred longer vintage inspired jewelry so this is completely my taste. It's a statement piece with its own unique flair but it's not overly gaudy. 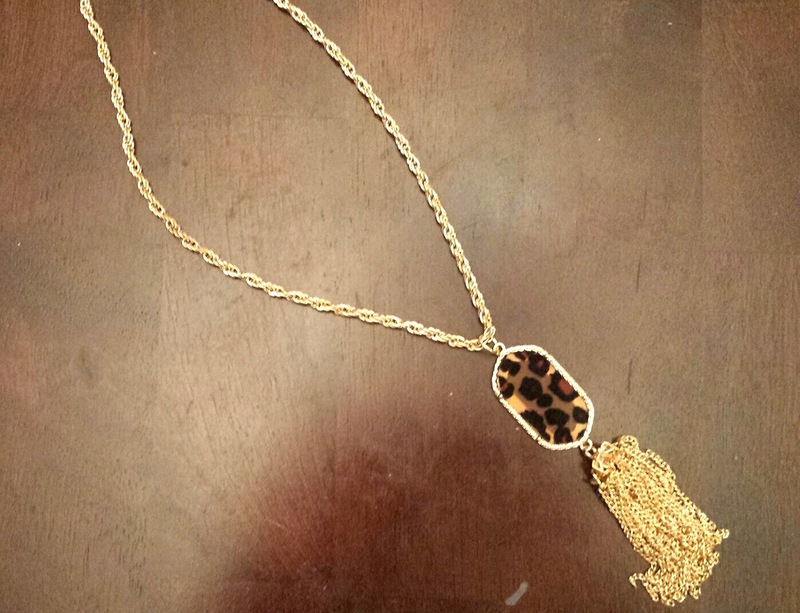 The gold chain tassels are so gorgeous and delicate and the leopard 'stone' is perfect for fall! 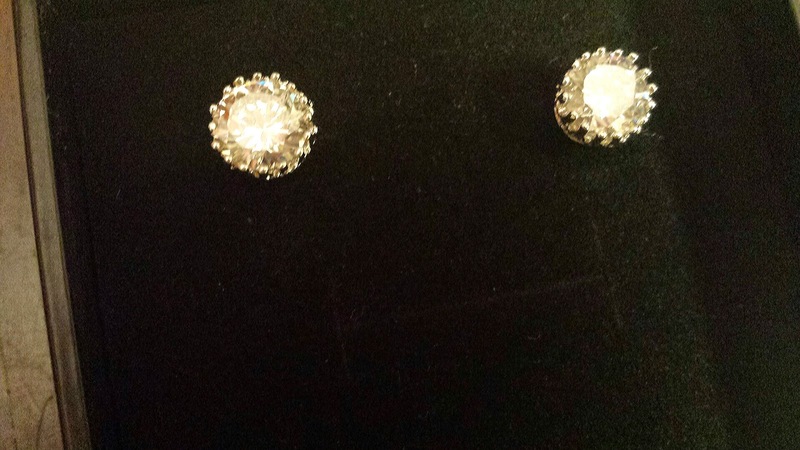 Olivia 'Dignity' Studs - $125 retail price --- The glitz factor on these is stunning! I love how classic and versatile these are. 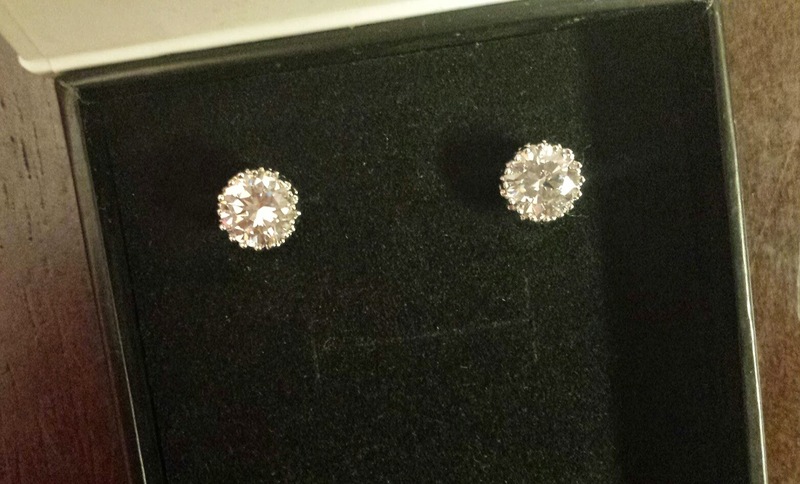 A good pair of studs is pretty crucial for me because it's something that will last for years to come and never go out of style. And just look at the detailed settings. Gorgeous! Did I die and go to jewelry heaven? Yes... I do believe I did! 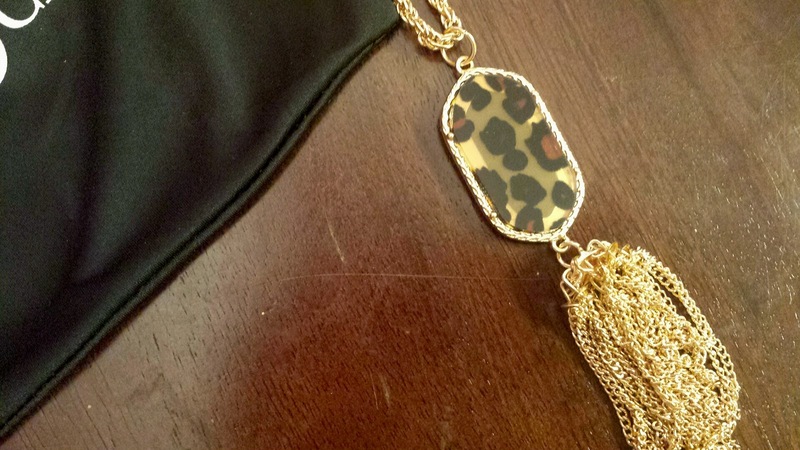 Both pieces are stunning in their own right, giving you high quality durable jewelry that can stand the test of time. I'm completely wowed and Cate & Chloe addicted now!! 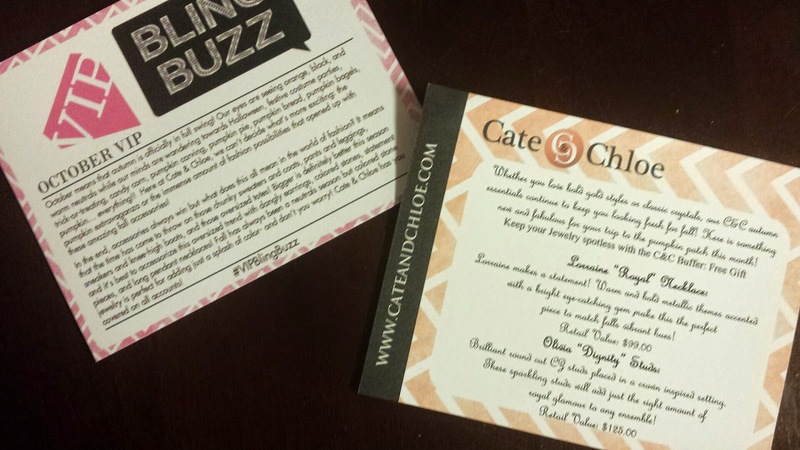 Did you get your bling on with Cate & Chloe VIP this month? Share your opinions and thoughts below!